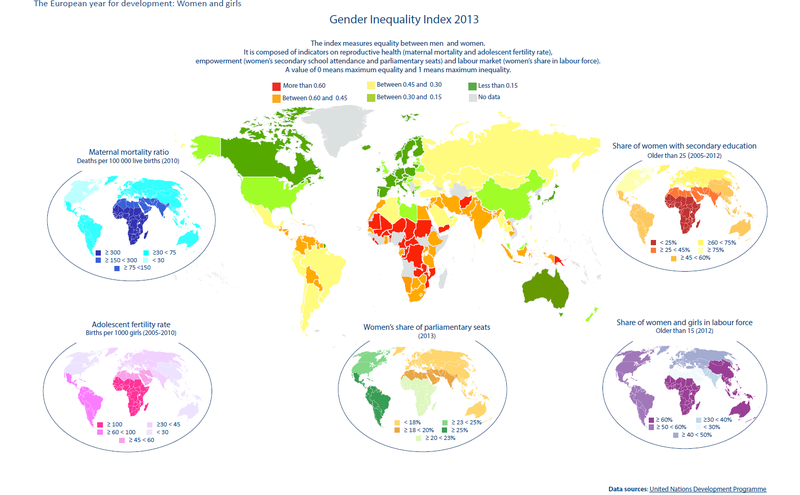 The index measures equality between men and women. It is composed of indicators on reproductive health (maternal mortality and adolescent fertility rate), empowerement (women’s secondary school attendance and parliamentary seats) and labour market (women’s share in labour force). A value of 0 means maximum equality and 1 means maximum inequality.